I have been busy trying out a new rendering pipeline with Keyshot. 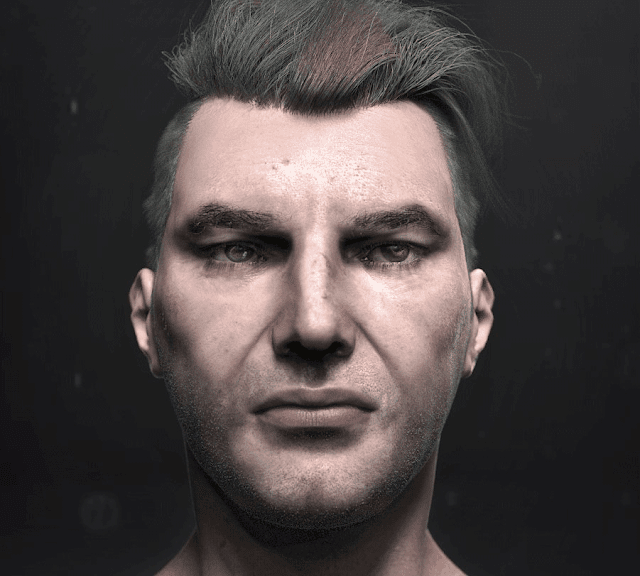 Model in Zbrush, Hair with Fibermesh. UV in Roadkill, skin and texture maps in Mari, Materials, lights and render in Keyshot, Post and image grading in PS. One interesting thing to note with this particular skin material is that it does not allow you to load a specific sub-surface scatter map. Instead I had to feed the shader with a solid color which resulted in a skin rendition that was quite (surprisingly) convincing. Other peculiar aspect regarding the skin material is the absence of an "overall map" slot which essentially allows you to multiply down details lost because of the scatter (The Diffuse layer is simply added on top of the Scattered layer which makes it hard to recuperate details such as moles for example). This wasn't as big of a problem as anticipated but I still had to dial back some of the details in post. All in all, this new rendering pipeline has been remarkably efficient and intuitive and I can't see myself going back to Mental Ray anytime soon. I am looking forward to my next project, in the mean time I hope you enjoy this one.